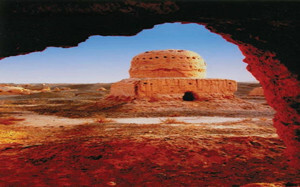 Many unique cultural heritages and natural landscapes along the Silk Road are collected in this trip. 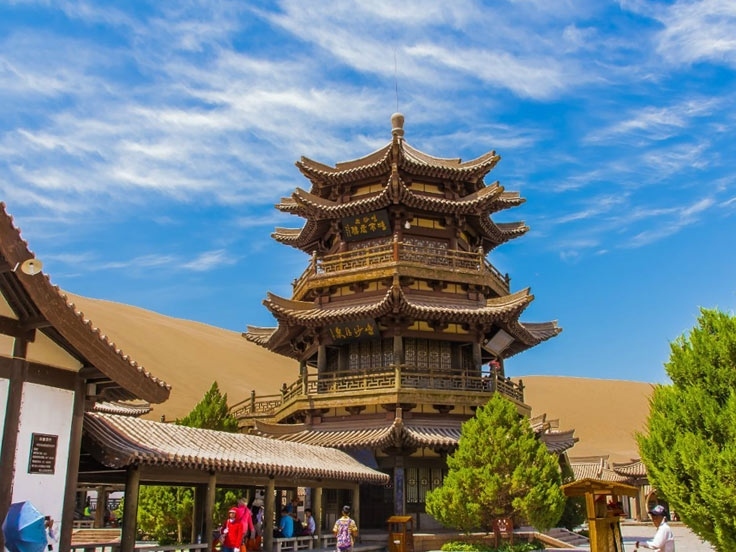 The Heavenly Lake in Urumqi, the Jiaohe Ruins in Turpan, Old Town in Kashgar, the Grand Mosque and the Kizil Grottoes in Kucha are definitely worth your visit in Xinjiang. The Heavenly Lake is surrounded by the vastness of mountains and alpine meadows with an elevation of 2000 meters above sea level. 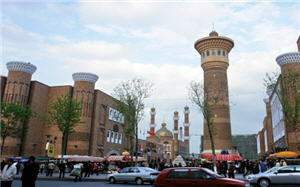 If time permits, visit the Erdaoqiao Bazaar, which is believed to be the largest outdoor market in Xinjiang. 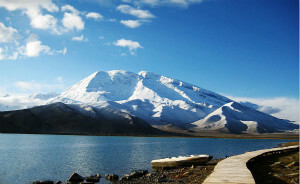 The Karakol Lake is a must- go place in Kashgar. 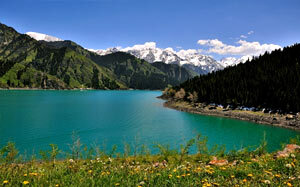 Drive through the Karakurum Highway to have a good sight of the beautiful snow-capped mountains and the lake. The Sunday Bazaar is the largest outdoor market in mid-Asia. The traditional bazaar was originally held on Sunday, but it is divided into two sections now. One is livestock district that opens only on Sunday and the other is ordinary district opens every day, and is especially busy on Sunday. 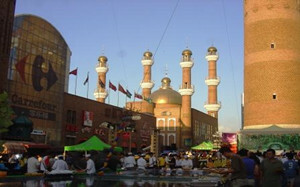 The Id Kah Mosque is reputed to be the largest mosque in China. 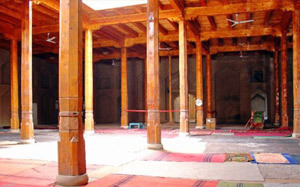 It highlights a group of old Islamic constructions with strong ethnic style and religious features. 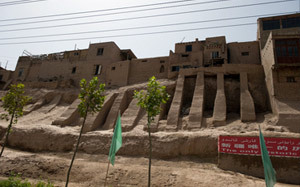 The Old Town of Kashgar is full of historical buildings of ethnical characters and its every street can tell the story of the past. 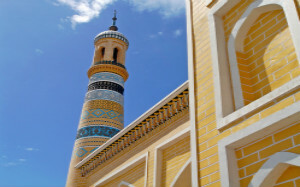 The Afaq Khoja Mausoleum is perhaps the finest example of Islamic architecture in Xinjiang, encompassing a larger complex that includes a functioning mosque and madrasa, the coffins of five generations of the family. 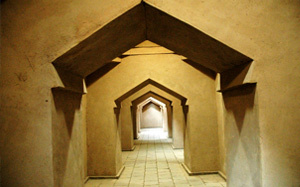 The Mausoleum is also known as the Fragrant Concubine's Tomb, as it is the burial place of one of Afaq Khoja's descendants, Iparhan, who is believed to be the legendary Fragrant Concubine. Later, transfer to the train station and take an overnight train (soft sleeper) to Kucha. Arrive at Kucha in the early morning, meet the guide and transfer to the hotel. Today, enjoy a free day to discover mysterious Kucha on your own. 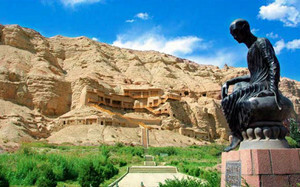 The Kizil Thousand Buddha Caves is one of the best preserved caves in Xinjiang. 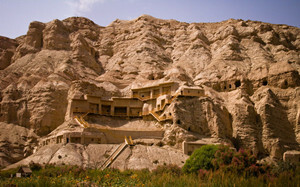 It was built around 3rd century AD, and left about 265 caves today. 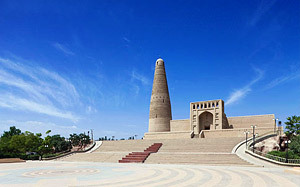 The Grand Kucha Mosque is the second largest Mosque in Xinjiang and has a capacity of 3,000 worshipers. Explore the Ruin of Subashi Ancient City, where you can indentify the street layout many years ago and see some of the 20-feet hight walls standing still. 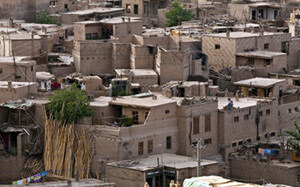 Transfer to the train station and take a overnight train (soft sleeper) to Turpan. train Station- Hotel transfer in Turpan. 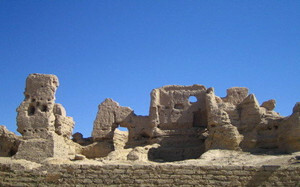 The Jiaohe Ruins reveals traces of a prosperous ancient trading center and military base 600 years ago. 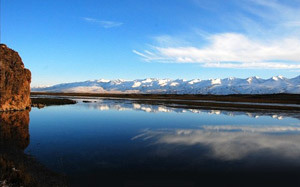 The Karez System (UNESCO), an underground irrigation system, is considered to be one of the three great ancient projects of China. 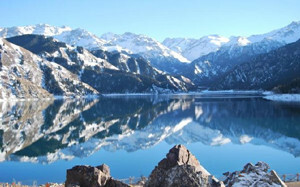 Its main function is to deliver water from nearby snow capped mountains to Turpan and its agricultural fields. 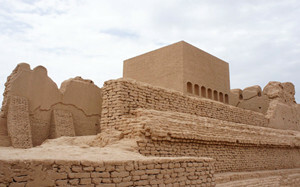 The Gaochang Ancient Ruins used to be the capital of ancient kingdom Gaochang, which is also the biggest ruins in Xinjiang. The Astana Tombs are known as the 'Underground Museum' and highly regarded by Chinese and foreign archaeologists and historians. More than 400 tombs have been excavated from there since 1950. The Bazelik Thousand Buddha Caves has 77 caves and inside each cave is a rural of the Buddha painted on the ceiling along with hundreds of Buddhist sculptures and figures. Emin Minaret, also known as Sugong Tower, is one of the most famous Islamic constructions and the only Islamic tower in China. 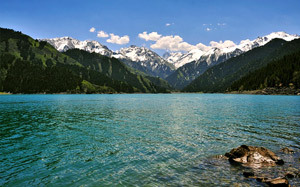 Travel route Raiders: “Xinjiang Mysterious Adventure”introduces you to Urumqi travel guides, Urumqi holiday guide and customized personalized service for your Urumqi travel routes as well as Urumqi vacation packages. 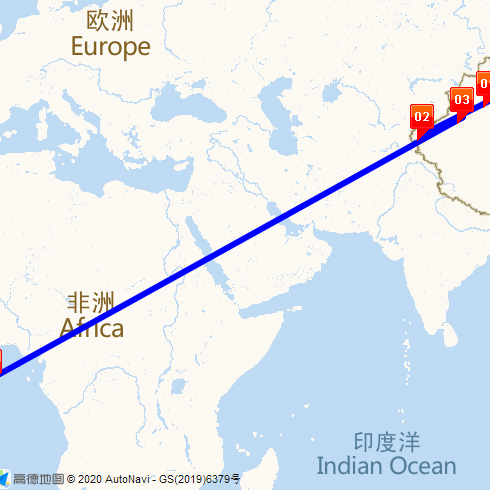 There are real Urumqi tourist route evaluation, travel Q&As. If you would like to book tickets and hotels, to find China travel agencies / China tour companies for your travel to China.